Though common sense (Aaqeel) has been the premiere and primary means by which God has communicated the correctness and incorrectness of our intentions and actions (since Adam and Eve), there has always been more people who would overlook its value or trade it off for answers of less significance. Those who abandon its use are highly condemned by God, in The Qur'an, who refers to them as "The worst of (moving) living creatures..." (Al-Anfal 8:22)Aaqeel is the "sense" that is given to all, regardless of race, nationality, geographic location, intelligence, religion, and age (once the age of discernment is reached). It is balanced, analytical, and ultra-precise when it comes to making determinations and judgments. It works in association with the other five senses (of both spiritual and physical natures), which are subject to submit to it, but it (common sense) has proven to be no match for the free will (of humanity), which has the ability to subdue common sense and all the other senses to servitude.The Aaqeel is that which calculates most matters with "twinkling of an eye" swiftness. The Aaqeel is jam-packed with alarms (warning signals) for the purpose of securing or attempting to secure our best interest in a way that has survival written all over it. The Aaqeel is steadfast in its duties, and it doesn't lie.Using of one's Aaqeel (sense) with Scripture is paramount for maximum effectiveness in reaching the highest levels of obedience to and understanding of God's Final Revelation. God sternly warns and condemns Mankind for neglecting to use their Aaqeel throughout The Qur'an and reveals how people and nations have fallen as a result of not using it. The Qur'an offers simple reading and instruction to Mankind as to our duties to God. 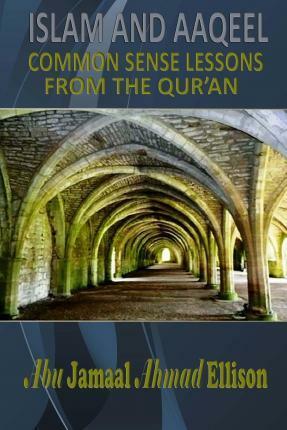 The Qur'an also evolves with its reader in accordance with the reader's level of understanding and spiritual growth. By way of The Qur'an, one is able to establish a unique and personal relationship with God, but it doesn't come without a price, which is patience. I wrote the book because I recognized that far too many of us are discarding our Aaqeel and replacing it external systems of determination that have the desires of man as their main system of support. Thus, far too many of us are failing to perform our even basic duties ordained by God, for our salvation and avoidance of the Hellfire.How important is the use of our Aaqeel? And they will say: "Had we but listened or used our intelligence (naAAqilu), we would not have been among the dwellers of the blazing Fire!" (Al-Mulk 67:10) Muslims are more subject to the verse above than non-Muslims, as it is in The Qur'an.